Trump administration's inward looking policies could be threatening to rewrite the rules of the global trade game, but it is unlikely to flare out into a full blown trade war, says Professor Manoj Pant, director of the Indian Institute of Foreign Trade (IIFT), New Delhi. Trump administration's inward looking policies could be threatening to rewrite the rules of the global trade game, but it is unlikely to flare out into a full blown trade war, says Professor Manoj Pant, director of the Indian Institute of Foreign Trade (IIFT), New Delhi. 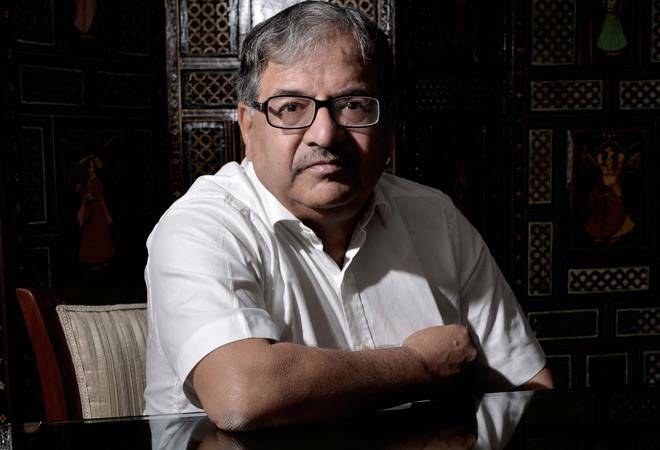 In an interview with Business Today, Professor Pant talks about the trade policies of the US, linkage between India's GDP and exports, and the need to stop overtly worrying about trade deficit. BT: As the premier think-tank of the commerce ministry on foreign trade matters, have you been approached by the Central government for advice on the trade protectionist measures adopted by the US and the stand India should take? Pant: We don't deal with policy, but if they (the commerce ministry) need some inputs, we provide it. At the moment, I do not see that any such technical input is necessary on this issue. Don't underestimate our government so much. They know that the policy decisions of the US is not going to have an immediate impact on us. So why annoy them? We should be worrying about it, when it affects us. We don't export much of these products (steel and aluminium) to US. It would look stupid complaining about something that does not impact you much. I would endorse the government stand that once others have come out, those who are immediately affected, countries like South Korea, Japan, Europe, Germany, once they come out, then we have to express solidarity with the multilateral trading system. And the government has said it would do so. That makes sense. The issue is not US, or tariff. The issue is the future of multilateralism. So, once others complain, we can also say we would like to be party to it as long as it is an issue of multilateralism. BT: Wasn't global trade beginning to recover from a slowdown? Will these developments impact its growth? Pant: From 1980 onwards, till about 2008, some blips perhaps, but otherwise there was an unprecedented growth in global trade. About 7 per cent real rate of growth of global trade on an average, which was much higher than the 2.5 or 3 per cent of world GDP growth during the period. Trade has been growing faster than GDP. And it started integrating world trade more than ever. Today, India's 45-50 per cent of your product trade is either export, or import. So one of the every two product, is exported or imported. In 2008, financial recession happened and the worrying thing since then has been that world trade is growing much slower than it used to be before. Some of us are growing because our base is low. But we are all facing a near stagnant growth in world trade, that's our problem. The 2008 recession frankly is continuing. People who hoped for green shoots last year are now saying green shoots would be seen next year. World trade in bad times is as much about politics as it is about economics. Governments will have to look out, not just by saying they will push for exports, but by seeing that the other trade partner is not creating hurdles. I am sure the ministry is looking into this. For this, one have to go beyond giving sops. Can we focus? When we say make in India, or let's say made in China, what comes to your mind? The first thing is electronics. Similarly we have to have something that comes to our mind when we say "made in India". We have had some winners like automobile components. We were afraid of opening the market by saying we will lose, but now we are a very significant player in world auto component trade. Pharmaceuticals is another. We are the fourth largest export in the world in terms of volumes, and about 13th or 14th in value terms because generics have low value. We need more such winners. BT: Export growth is a crucial link to GDP growth..
Pant: Roughly about 40-50 per cent of GDP is export or import related. When exports and imports fall that 50 per cent of GDP is contracted. This myth was created in 2010-11 that we are somehow insulated from the world economy and that is partially the reason why we tried stimulus to trigger growth. In 2012, after a brief impact, growth again went down. It has nothing to do with governments. If 50 per cent of your GDP is contracting, your GDP will contract. There is no way that domestic consumption can substitute this 50 per cent. Otherwise, you may become completely self sufficient, but your growth rate will plummet. If you exports contract, you imports contract, if your imports contract, your exports contract too. So you have to plan Make in India, keeping this in mind. BT: How do you see growing trade deficit? Pant: For too long we have thought of trade strategy as only export strategy. That is the problem. If everyone talks about exports, who will import? Exports are becoming more and more dependent on imports. You get bulk insulin from China and you export insulin. If you don't get it how will you export? Inputs feed into exports. So let's us not talk only about what we export, but what is the value that we add. And the value need doesn't need to be directly linked to the output, it can also be indirect if it adds value elsewhere. So we have to think about strategies that go beyond just exports. The bottom-line is, if you only promote exports, you cannot import and if you cannot import, you cannot export. Trade is no longer exporting computer and buying food or exporting car and importing clothes relationship. Its component trade, which is 70-80 per cent of our trade. When we export software, it goes as input into something we imports. This inter-linkage is what we should be looking at. And not imports. BT: You mean it's not a worry? Pant: India's trade balance with ASEAN and China are heavily skewed against India. The issue is not whether you have a trade deficit or not. Issue is whether it is going down or not. The question is whether we are becoming part of a supply chain by being party to such RTAs, whether it is with Japan or South Korea or others. Because if you are part of the supply chain, initially you may import more, or your exports fall, but gradually you will become part of that value chain. My point is supply chain today is not restricted to commodities. Sometimes we cannot separate services from commodities as both are also part of supply chain. ITeS for instance is all about service exports that will find usage in product development. But it is not looked at that way. In ASEAN pact people only talk about commodity trade and not services. People talk about increase in agricultural commodity trade after ASEAN agreement. But I tell them, agriculture is not even part of the agreement. It is part of the exclusion. So the question is whether India ASEAN FTA is taking us closer to be part of the value chain. The answer, unfortunately, is no. A mistake we made in 2005 or 2006 is that we took every country of ASEAN at their word and agreed with them when they said that we begin with commodity and then move towards services. Its only in 2015, finally they have agreed to include services. But where is MRA or Mutual Recognition Agreement for services? We don't know whether our degrees are recognised there. I agree, that I will take engineers from India, but are their degrees recognised? Services trade is invariably linked to MRAs. Until you have clearly identified codes, you don't know what you are talking about. In trade you have 8 digit codes. That's what is needed to be ready for services trade. In 2005, we got an agreement in services with Singapore. In 90 days, they started preparing some code for services. We haven't done that yet. There is no uniform way of classifying services. Companies will have to be told to do it in some specific formats. RBI will have to take the lead and ask companies to make disclosures in segregated format. It will not be enough to just mention earnings from software services, one needs to specify what type of services. Was it proprietary, or not, did you send a CD? Or did you send a person there? OECD, WTO all have such classifications. We have services agreements with Japan, South Korea, education is one. ASEAN we have just begun, They have started to figure out what they are worried about, and how to classify services. So we have to start looking at RTAs as economic instruments. For instance, our RTA with SAARC has mainly been a political instrument. It is time we look at it differently. BT: Do you agree with the view that regional and bilateral agreements are the need of the hour? Pant: We go into RCEP because we want to counter TPP. RCEP is only about products, they are not willing to discuss services and it is completely China-centric. China wants to simply institutionalise what has been happening traditionally. All East Asian countries have had trade with China since long and China used to trade with West. That was the supply chain. RCEP is completely China. So before we get into RCEP, let us negotiate with China. We have been trying to stop Chinese products in several areas for security and other reasons. But they are coming through other routes like ASEAN. Now they will come through RCEP. The good thing Trump has done is shooting off the mouth. He has signed off TPP. Perhaps it's a good time to start off with TPP. It is one agreement beyond China. See if Brexit can be helpful to us. After all there is a lot of IT services opportunity that will come up in Britain. Trump is simply saying I don't want multilateral, I don't want to play politics, I want to play economics. So what is he saying? I am going to raise tariffs on steel, you give me something else for me to exclude you. We should not be stuck in RCEP, because we think there is no other way to go. We can talk to Germany, our business as percentage of share is not as big as it used to be with them. We can work out something with UK. They are your traditional partners, they are not your most important partners now. China has become too one sided, so let's negotiate with China, and lets again discuss about services sector. You cannot do without Chinese imports, so the way will be to increase exports. They should let our pharma companies to do business there, they should expand the trade into services. My personal opinion will be given the choice between RCRP and nothing, nothing will be better. RCEP is impossible. Today you can approach WTO and file anti-dumping cases against China to stop imports. You will not be able to do that once you enter into RCEP. RTAs are all about economic bargain. BT: How is foreign direct investment linked to exports? Pant: There is a one to one correspondence between FDI and trade. FDI today has got three streams - managerial services, capital and commodities. On the whole, 65-70 per cent of world trade is trade between units of multinational companies and not between countries. The problem with India again is politics. Not every multinational is big. Many of the Japanese, South Korean, Taiwanese companies are small companies. We are unable to decide (our approach towards MNCs). You keep tinkering with (100 per cent, 50 per cent etc. )FDI limits. Just as we think of picking winners in trade, why not winners in policy? Your offset agreement in defence says, 30 per cent of any purchases should be reinvested in India. Where do they spend that money? If they want to set up a computer factory, computer lobby will say no, you say you set up a scooter factory, scooter lobby will say no. Last count your defence purchase is somewhere between $13-14 billion. And 30 per cent of that means $4-5 billion. They have to spend this money here. But on what? Can they buy a car? you say no, it has to be defence related. I can't understand why we can't be more liberal. The fear is that if you give up 100 per cent, then you have no control. The fact remains that who can control Americans even at 0 per cent? So why can't we choose our FDI policy to pick winners? BT: India raised tariffs on the import of some products in this budget. US is using it to stop Chinese steel imports. Are we back to the days of tariff barriers? Pant: The difference is, US has raised its bound tariff. In India, the recent tariff hike is on applied tariff. Obviously we are turning protectionist, no doubt. But there is some difference. If you look carefully at recent budget, some of them are reductions, like in telecom, there is reduction in tariff. Second, the issue is not nominal tariff, but the effective tariff or effective rate of protection. It is simple common-sense. You can have the same applied tariff, but reduce import duty for components to make it more protective. You can make your sector more protective by reducing the tariffs on inputs rather than raising the tariffs on outputs. You can keep mobile phone tariffs unchanged, by reducing component tariffs, it becomes more competitive. Many have started thinking like that. Now look at what happens when you increase applied tariff? Effectively, you increase the level of protection you give to ASEAN countries, because for them the tariff is still the old one. If you want to raise it, you can raise only when you re-negotiate the RTA. For instance, in the case of ASEAN, your RTA tariff is bound at the year 2000 rate. That will not change. It is fixed. So the protection you give to exporters from there will only increase. So there will be more and more people who will try to circumvent the tariff barrier by taking the ASEAN route. You may find more Chinese stuff re-routed through ASEAN. You will have to be very much vigilant at the ports for the rules of origin check. So there are several issues that will follow tariff hike. This was obviously election year, but I do believe they will reverse it. These are knee jerk reactions. From the exporters point of view, I don't think it will make much difference. It is a political decision. I can say in many of the cases where tariffs have been increased, protection has fallen, and in several cases where tariffs have been decreased, protection has risen. We technical people will point this out. Others will realise it sooner or later. Even Trump, with high tariff rates for steel, is not going to revive US steel industry. It's just that whatever automobile industry is left there, that will also close down. I don't think he is taking a smart decision. BT: China has also raised tariff on products from the US as a retaliatory measure. Are we seeing the beginning of a global trade war? Pant: When did trade wars happen? Once in 1930s? That's because there was no multilateral institution. That's when GATT came. Now we have WTO. Not everyone is trying to disrupt the WTO system. Only USA is not interested in WTO. It was never interested. But that doesn't mean that tomorrow if US shuts out, multilateral system will collapse. Trump is doing this basically to counter China. His own people will give him a boot when they realise prices have begun to go up. Second boot will come from the system when the States starts comparing the difference. Have you noticed? States have already said that they are not out of TPP. States of USA have enormous power. The question is whether Trump will survive the next election? Unlikely.